Bike rental at Red Doors Art Gallery next door to Pepe's, and near Key West Ferry Terminal and Express. Click here for Maps of the island and our bicycle rentals in Key West FL. Our bike rentals in Key West, bikes and service at Casa Marina resort and other fine Key West locations. Top quality service! All locations open to public for bike rental! biking Key West, and our bikes are... and have been in top resorts for many years! Our bicycle rentals in Key West Florida are available to everyone and open to the public, even though we are in some of the most beautiful and exclusive luxury resorts... come in and rent bikes in Key West FL. Year after year we provide reliable service for millions of people visiting our beautiful island in the Keys. 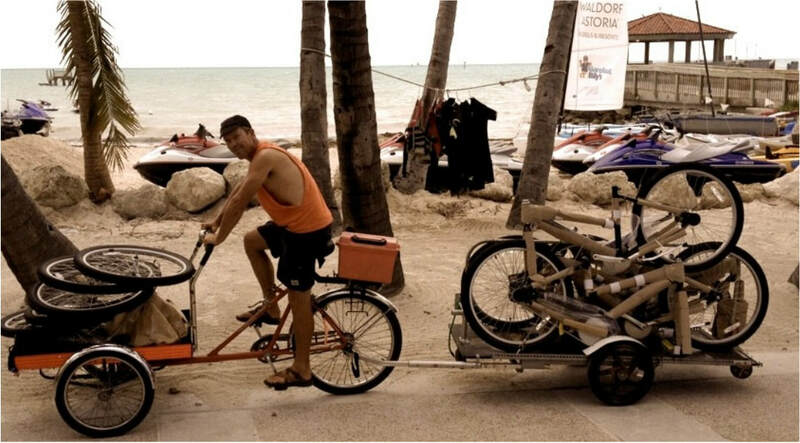 We are a trusted Key West bike rental company, we are innovative and conservation oriented. We maintain our bikes with our custom built workstations on site, and we transport everything by bike and trailers. Key West bike rental at www.bikemanbikerentals.com. We thank you for choosing us and appreciate your business. Call for group discounts!